1. Do we have to list all of the ingredients in our product? You only have to list the ingredients in your product that are considered hazardous. You do not have to list non-hazardous ingredients in the SDS. 2. Will we need to provide the exact % and CAS # of our ingredients? Answer: You…read more. Supplemental Labeling: Does GHS Leave Room? The industry had been bracing itself for the swift arrival of June 1st. As of that date, the Globally Harmonized System came into force under the jurisdiction of the U. S. Occupational Health and Safety Administration 2012 Hazard Communication Standard (OSHA HazCom 2012). These new waters open up many questions about how implementation will proceed,…read more. The European Parliament and Council established REACH in 2006, so for some of us, it’s old news. This regulation established ECHA, the European Chemicals Agency, to administer the program. As is true with many compliance initiatives, REACH is both an acronym and an idea. On one hand, REACH stands for Registration, Evaluation, Authorization, and Restriction…read more. From time to time, our customers look for our regulatory team to clarify their obligations regarding Safety Data Sheets (SDS’s) for household consumer products. 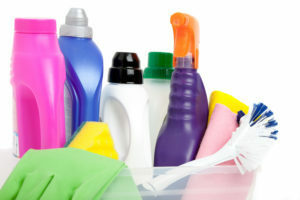 For the US, the OSHA Hazard Communication Standard exempts products that fall under the Consumer Product Safety Commission’s Consumer Product Safety Act and Federal Hazardous Substances Act, as well as cosmetics…read more. GHS, the Globally Harmonized Standard, is the new global standard to be used for the classification of chemicals in most industrialized countries. Countries in Asia have adopted GHS at various levels and speed and it can be challenging to keep requirements straight across these regions. A full understanding of both legal requirements and industrial practices…read more.